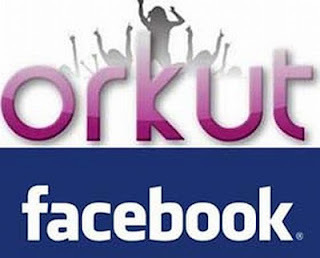 Home » FarmVille , social-media » FaceBook does an "Orkut"! Why? What was the need? Weren't things perfect the way they were? Why the change? I switched to FaceBook only because of the Privacy concerns with Orkut. And now they turn FaceBook into Orkut too! Anyways, I managed to change most of the settings back to "Only Friends". But I can't get the Profile Pic to over-ride the default "Everyone" settings. I don't want "Everyone" to be able to view my Profile Pic. I want only people in my Friend List to be able to see it. So how do I get that back now? Also, I have my Friend List grouped under School, Office, Blog, FarmVille etc. So does the new FaceBook provide any way to make a particular post visible to only a particular group of friends? Like, for example, is there any way I could set the FarmVille posts to be visible to only my FarmVille friends? It does give some setting when I post a link, but what about posts that come directly from an application? Any help in this regard would be highly appreciated. Thanks. I have forwarded your concerns and queries to Mark Zuckerberg....Inshallah, he will revert soon. As far as I know, you cannot hide the profile picture in any manner, after all there must be some indication for prospective friends that you are the right "Kaddu" they are after. I dont have an answer for your second question. But let me tell you something here, Facebook is less secure than orkut. In orkut one cannot access locked photos and scraps whereas in facebook, with many ignoring the new changes the photos are becoming public. Moreover one cannot save pictures from Orkut albums, one has to drag them and drop on the desktop only to get a reduced quality image. Whereas in facebook, a simple right is enough for saving even the profile picture, with full resolution. It's always better, to upload a lesser number of photos and personal info. I think Orkut is way better than Facebook when it comes to privacy. The profile pic is a default setting for everyone as for the sharing of Farmville posts and other. You can change you wall settings and decide who can see those posts. Yeah rite u have! Didn't find anyone else to make a 'bakra'! Oh ok, I didn't know that... not too familiar with the nitty-gritty of social networking... I only play a couple of games there which my sister taught me to. She, on the other hand, thinks of FaceBook as some sort of gaming site! When I told her I have hidden all the Mafia Wars and 100s of other app feeds from my homepage, she was like "Why play FaceBook at all then?" PLAY! LOL! Phewww! I used to like FB earlier because it wouldn't even show my profile pic to anyone who was not on my list. Further, I could even set my friend-list to be visible to friends only. Thankfully, I can still do the latter. But they have a logic behind the photo bit... I guess it would help people identify if you are the person they are looking for. Besides, not too many people use FB yet for contacting strangers out-of-the-blue to strike-up a "fraandship". Orkut is like a "sarkari dharamshala" in this respect, anybody can read your profile, see your friend-list!